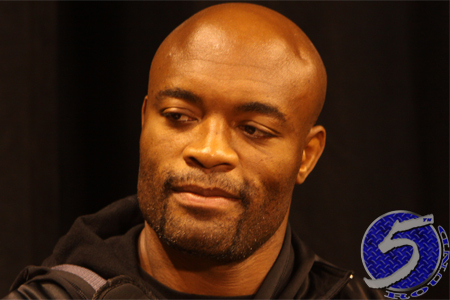 The bad news, former UFC middleweight champion Anderson Silva (pictured) spent the night in a Brazilian hospital after collapsing from severe back pain following a rigorous training session. He subsequently lost feeling in both of his legs. The good news, Silva was discharged Tuesday morning after being diagnosed with lumbago (pain in the lumbar region) and his UFC 183 fight against Nick Diaz is not in jeopardy. According to Brazilian website Combate, who first reported Silva’s condition, “The Spider” underwent an MRI, CT scans and blood tests that all concluded he has no serious health issues. Dr. Márcio Tannure, Silva’s personal physician, said his patient losing feeling in his 39-year-old legs is a normal side effect of lumbago. Silva is returning from one of the most horrific injuries in UFC history when he snapped his left shin in two against champion Chris Weidman 11 months ago. UFC 183 takes place January 31 in Las Vegas.